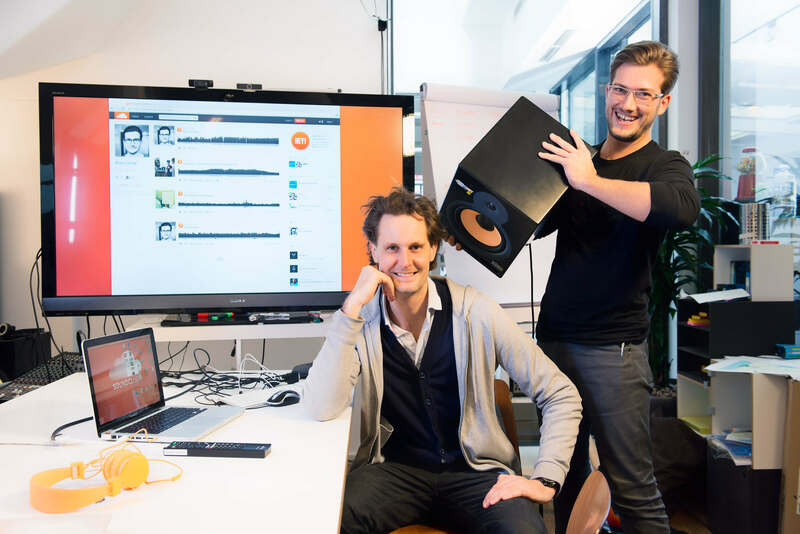 SoundCloud started in Berlin as a startup of a Swedish sound designer Alexander Ljung and Swedish artist Eric Wahlforss in 2007. They wanted to create a tool to share audio snippets with each other at school. Eric and Alex asked their friends for help in developing this idea – they spent almost a year in Berlin with barely any funds creating what would later become the most popular music streaming service in the world. For the past 10 years, SoundCloud has allowed anyone in the world to share any sound they wanted with their friends, family, co-workers or even complete strangers in a simple but unique way. It gives artists and creators independence – they don’t need to have a contract with a label or distributor to publish their tracks. DJs can publish their work and get real feedback from the listeners allowing them to improve their future records and connect to their fans. SoundCloud manages to blur the lines between artists and people who appreciate their music – nothing is stopping you from talking with your favorite band members. Since there has not been any platform like SoundCloud it quickly got popular after its launch among Swedish and German DJs. SoundCloud has been the starting point of a successful career for a lot of artists such as Post Malone, Kehlani or Kygo. Unfortunately, everything has the beginning and its end. Recently SoundCloud has been facing many issues that could quickly lead to complete shutdown of the site. A few weeks ago, an anonymous source revealed that SoundCloud has enough funds to keep the site up only for 50 days! The management of the company had to lay off almost 40% of their staff and close offices in San Francisco and London. But what happened? Short answer – we all make mistakes, unfortunately CEOs of SoundCloud made quite a few. The long answer is much more complicated. SoundCloud was created by two inexperienced but very enthusiastic founders who did everything to keep the site from crashing. They were thrown into the deep waters of running large scale business. SoundCloud’s CEOs have been struggling with negotiating with major music labels about licensing as well as creating plans and models to make a stable profit out of users of the site. In past 3 years, SoundCloud managed to make deals with giants like Warner Music Group, Universal Music Group and Merlin Network allowing them to collect royalties for a song they have chosen to monetize – these companies could flag every account and track without oversight. By the end of 2014 SoundCloud had to share ad revenue with about 60 other Premier Partners such as independent labels and artists. They have been planning to launch an ad-free streaming subscription (similar to Spotify and Tidal) in 2015, but it raised some concerns from Sony Music Entertainment what lead to pulling its content completely from the service in May 2015. SoundCloud has been described as a service created by artists for artists. One of the reasons why people were using this statement was the existence of the “groups” feature the site has been offering. In July 2016 the management said in an email to all users that groups “were not a strong driver to help users share their new tracks to the most users effectively” and decided to remove the feature completely. This led to criticism from both listeners and creators, because it would eliminate their only effective means of sharing music on the site. Many premium users went back to free accounts after this decision was made. It is safe to say that SoundCloud gained its popularity because of its rebel status. It is a perfect place to share music outside the big-label bubble. With the subscription plan called SoundCloud Go came another, less creators-friendly feature similar to “Content ID” system YouTube has. It gives music owners the ability to identify their songs used in mixes and then either collect profit or submit a takedown notice. Speaking of the subscription plan… it didn’t gain much popularity due to relatively high price - 9.99$, just as much as Spotify or Tidal, even though initially it was rumored that it would cost 4.99$ and the lack of features it offers. SoundCloud, even when using paid subscription, offers music streaming in 128 Kb/s only, what makes it stay far behind the competition. You won’t find big names such as Justin Bieber, Rihanna or Kanye West on this service because its primary focus is user-generated content so is there a point in paying for that? SoundCloud Go doesn’t offer anything great what would make you want to pay for the service because most of the features are already free. On the other hand, SoundCloud has always been free and (most of the time) user-friendly service. If they made a little bit more aggressive model by taking away some features from free users and making them pay extra for the ability to use them again that would make SoundCloud another, regular streaming service. And since Ljung doesn’t want that to happen it’s what makes it all a no-win situation. Where were the SoundCloud’s experienced VCs throughout all those years when two young, inexperienced but passionate buddies – Eric and Alex - were thrown into the deep waters of not only learning how to run a business, but also into learning the fine art of running a business at scale? I think it is unbalanced that the VCs and the board are not called out in this article, and not put in the same row as the founders, responsible for strategic missteps. It is unrealistic to expect of anybody to stay focused and passionate on a project for longer than a few years. Eric and Alex have been running the company for much longer than it is human to expect of them. These guys did not fail - they gave all they could and more. The recent report from Music Business Worldwide states that a pair of mystery investors have purchased SoundCloud’s stakes. Their identity is unknown, but MBW suggests that these two “saviors” are The Raine Group and Temasek Holdings – both investors value site at 300$M in total (SoundCloud was valued for $1B in 2014) and bought stakes that combined are worth around $150M-$160M. In other words, two companies are taking control over SoundCloud. Considering the fact that the platform had only enough funds to stay alive for about 50-day period makes this purchase a miracle. 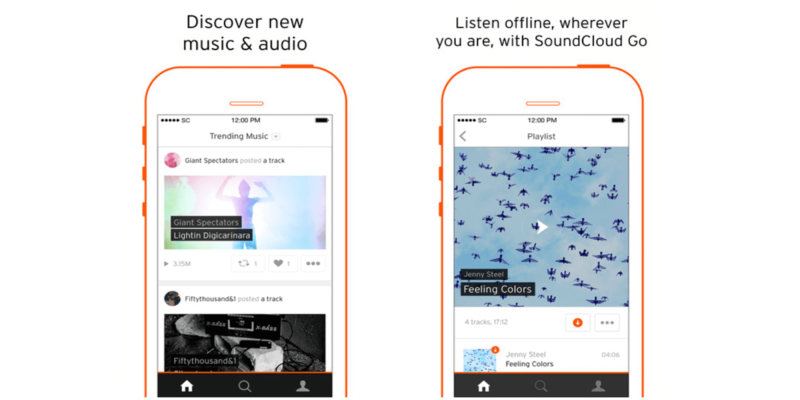 We will definitely see SoundCloud change in the near future. Maybe new investors will implement some fresh ideas into the service and help in getting it back on “the right track”.